Cut material cost by 10% through topological optimization. Save manufacturing cost by switching to a fabricated structure from a cast structure. Increase power to weight ratio by using a less dense material (structurally validated with finite element analysis). Decrease labor cost through redesign of assembly fixtures and increase throughput. Increase safety in the assembly process through better ergonomics of the assembly process. Reduce waste and recycling of raw material through better design and optimal placement of runners and risers in a mold. These are only a few examples of what some of our customers have experienced while using our value engineering services. The constant need for innovation with a reduced product price force manufacturing companies to look for design optimization. Outsource2india offers incessant innovation aided by value analysis and value engineering (VAVE) services that ensure cost-effectiveness in product development for manufacturers. Helping you identify high-cost areas to curtail product manufacturing cost, our accomplished mechanical engineering team works with you to come up with creative techniques to save cost. With extensive experience in providing value engineering services, we have worked in manufacturing, automotive, healthcare, aviation industries, etc. across the globe. Promoting manufacturing bottom line with our value engineering services, Outsource2india employs an ingrained approach to foster cost savings through design changes and optimizations. As shown in our value engineering projects for our global clientele that include some of the notable Fortune 1000 companies, we have seen amazing possibilities for cost saving in various aspects of product design. 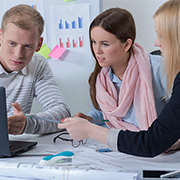 Outsource2india understands that value engineering is a set of services that outlines on a systematic, organized, global approach to identifying the necessary design, functions, and components in a product that can be replaced with lower cost substitutes. Without compromising the functionality of the product, our innovative mechanical engineers add value to your product through an exhaustive value engineering process flow. Information - Tear down related information on the product and process. Why Choose Outsource2india as Your Preferred Service Partner? Outsource2india has been a leading provider of value engineering services and a series of other mechanical engineering services to global clients. Working towards profitability while ensuring a higher level of functionality, Outsource2india's global delivery framework and quality-centric approach ensure reduced time-to-market, higher margins, and utilization of latest technologies to help you stay ahead in the competition. We are an ISO certified international technology service pioneer, committed towards client success. Through our value engineering services, we have helped hundreds of clients increase the bottom line. 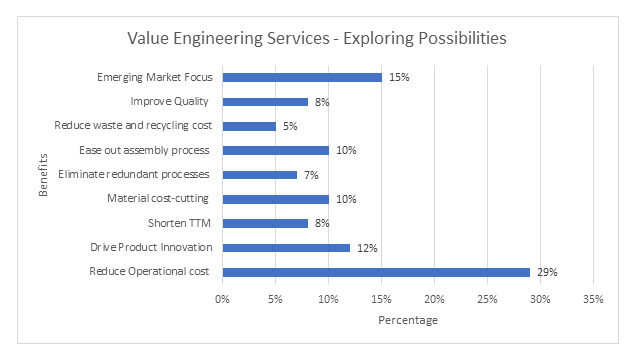 If you have decided on outsourcing value engineering services to India, and are looking for reliable, efficient, accurate, and cost-effective value engineering service provider, then look no further. Get in touch with us!